How should you choose an external DVD drive? 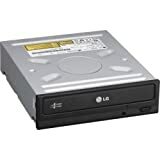 If you have a laptop that doesn’t have an internal DVD drive, you can still use your laptop to play music CDs or video DVDs by getting an external DVD drive. Also, you can burn DVDs to back up important files from your computer. Let’s investigate some of the features of the best external DVD drives. 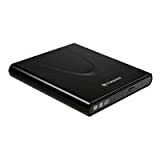 After reading thousands of reviews online, we have made a list of pointers that you must consider when buying an external DVD drive. 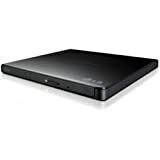 What should you consider when buying an external DVD drive? If you browse the internet, you will see thousands of options. But remember – all that glitters is not gold. You need to check the product reviews and descriptions carefully before buying any external DVD drive. 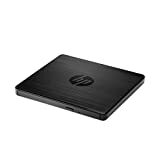 Speed: There are various types of external DVD drives available on e-commerce sites. But, the foremost thing that needs to be checked is their writing speed. You will get external drives that can burn CDs at 48x and DVDs at 24x speeds. You must know your speed requirements well. Burning at a lower speed will ensure a more reliable transfer of data. Burning at a higher speed will allow you to prepare a greater quantity of copies more quickly. Security: You should check whether the external drive is providing you disc encryption with double security or not. You must go for drives with password-controlled and hidden-file features to keep your data safe. User-friendly: You should select drives which have a drag and burn option. This makes the process of burning files easier and convenient, as there is a friendly interface. You just need to follow three simple steps to burn your disc. 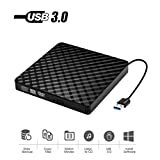 Customer reviews: Read the external DVD drives reviews carefully to know whether the one that you are buying is compatible with your Windows or Mac computer, meets your specifications, comes with a guarantee, and is of good quality.